Imagine you could go anywhere, with anyone and do anything? Where would you live? Where would you sleep? Who would be your friends? What games would you play? This is one of the very best children’s books you can have on your shelf. 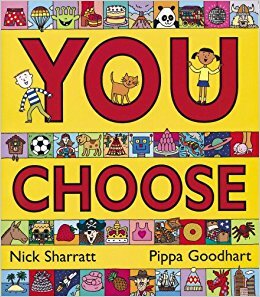 With the help of detailed illustrations, this book looks at a wide range of scenarios allowing young children to make key decisions and explore their imagination. The detail in the pictures provide numerous opportunities for talking points on each page, developing vocabulary in a fun and engaging way. You can take a few minutes or a few hours to explore and create your own story! This book does not appear to be available in many Australian book shops. However, you can purchase it for less than $15 at the book depository. A perfect present!